Successful technology eco-systems from Austin to Zurich are as unique as the cities themselves but they all have one thing in common: regular opportunities to catch up with other tech entrepreneurs and like minded folks, usually with a beer in hand. Come along for a chance to hear about what else is happening out this way, whether you’re part of a local start-up already, you’re thinking about your next move, or you think you might be able to help in some way to further develop our local eco-system. 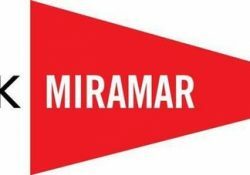 Technology eco-systems are all about networks, not hierarchies, so come help grow that network here in Miramar. Hack Miramar is group of liked-minded tech industry types who happen to live on the Miramar Peninsula in Wellington, NZ. We organise technology events, advocate for more adoption, education and investment in technology and work hard to be a nuisance.